Each time we drive to Southampton, we see them. Huge, majestic and so far out of reach in every way. The luxury cruise ships that have graced the Quays over the past sixteen years have been magnificent. 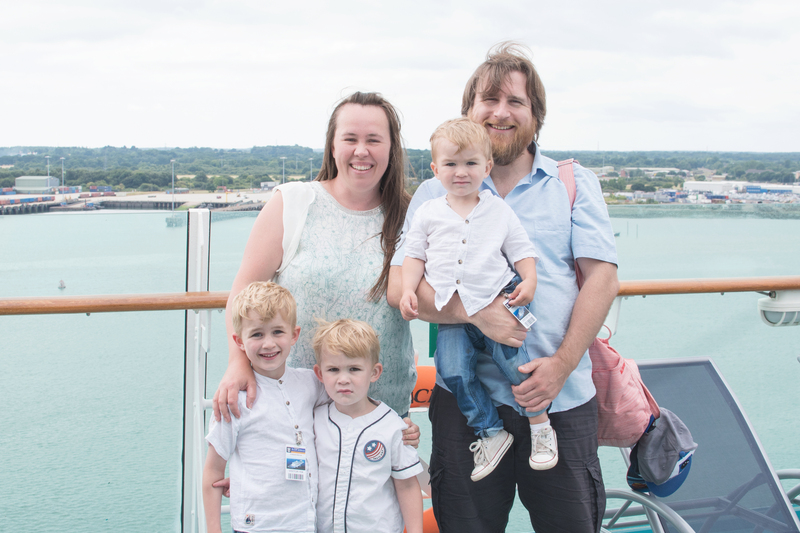 I’ve taken three trips over the sea in my life so far – one on the Red Funnel to the Isle of Wight, the second on The Pride of Bilboa to France for an overnight trip with work; both leaving from Southampton, and thirdly on the Disney Wonder for a Bahamas honeymoon cruise. 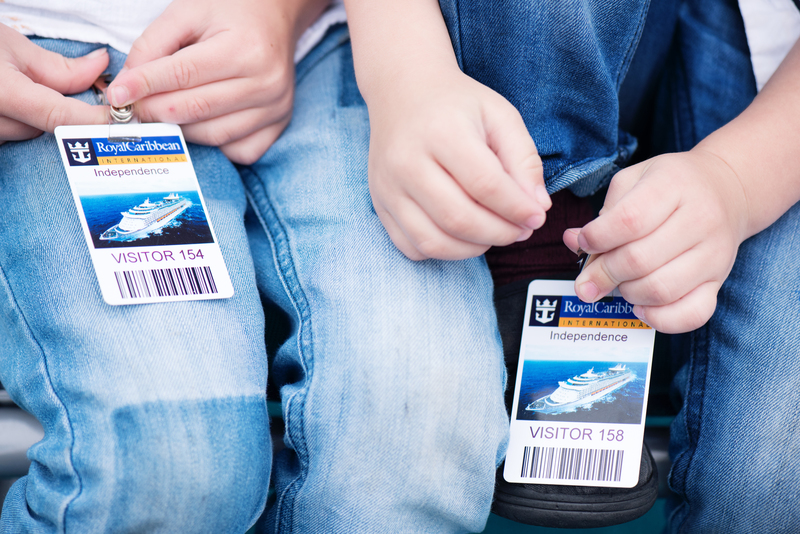 This weekend we were welcomed onboard my fourth ship – The Royal Caribbean Independence of the Seas. Royal Caribbean decided to invite a few bloggers onboard for the day to experience what The Royal Caribbean Independence of the Seas [Jensen loved that his middle name, Indiana was the same as the Ship’s nickname, “Indy”] had to offer. Did we love it? 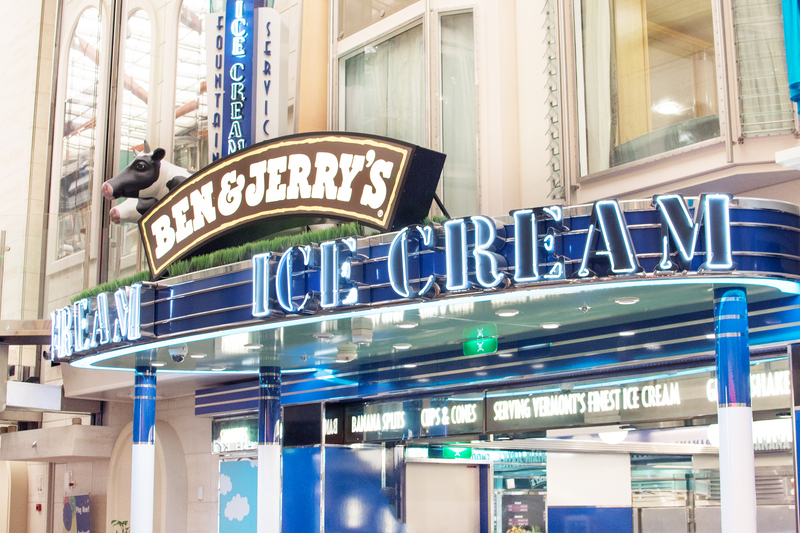 I kind of felt as though this was my spiritual home when I saw that there was a Ben & Jerry’s ice cream parlour on the ship. Jensen and I could see ourselves being here for breakfast, lunch…and dessert after dinner. I mean, that’s what cruises are for, surely? 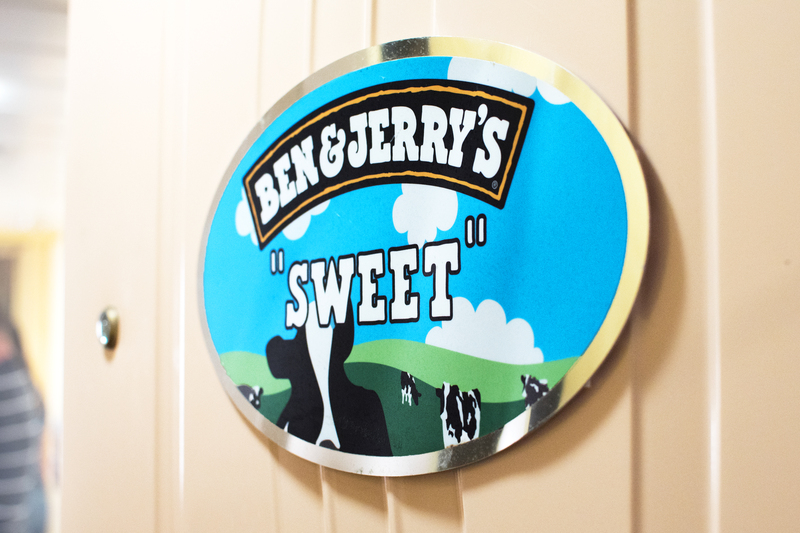 Then we were told that there was a Ben & Jerry’s stateroom! We headed down there but we won’t spoil the surprise. It’s moo-arvellous. After touring quite a few enormous suites where my boys found it fascinating that there were toilets with telephones in them – and a bath in one of them [Lyoto didn’t see the point when there was a whole sea to wash in] and wanted to sit on the verandahs all morning, until they discovered that there was actual ice cream for them on the pool deck. 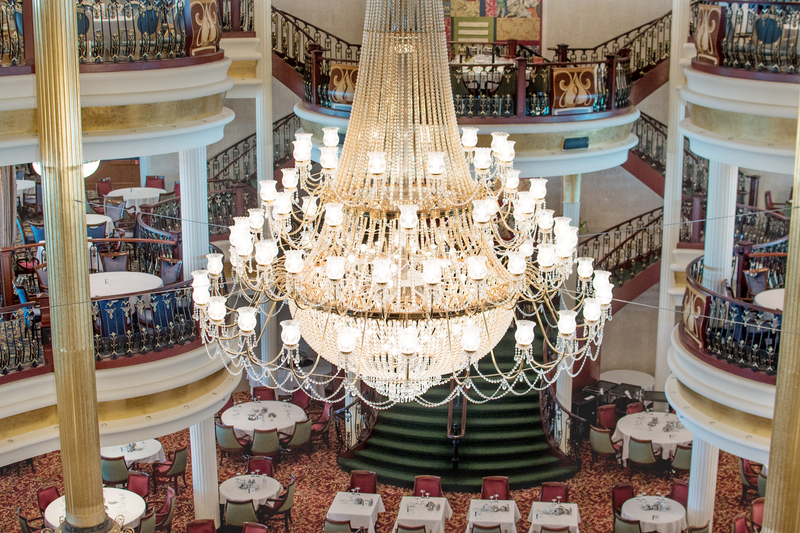 We took a tour by the enormous dining room with its glittering chandeliers and stemware. It was quite possibly the most beautiful place I’ve ever dreamed of dining – and all I could think of was the scene in Titanic where Rose comes down the staircase to see Jack in his tuxedo at the bottom. Probably not the best thought to pop into my head on a huge ship in Southampton docks [we were at Berth 101, so a little way down the quay], but still. Jensen found himself a seat and said he would take me to dinner there and we could drink with real grown up glasses. 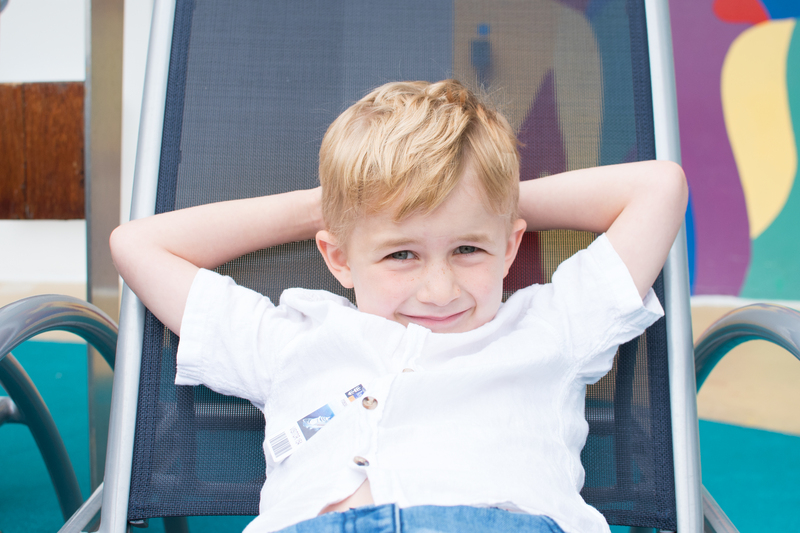 We saw an ice rink, huge portholes, arcades and kids clubs – but nothing compared to the pool deck for our boys. The self serve ice cream machine was the best thing ever. 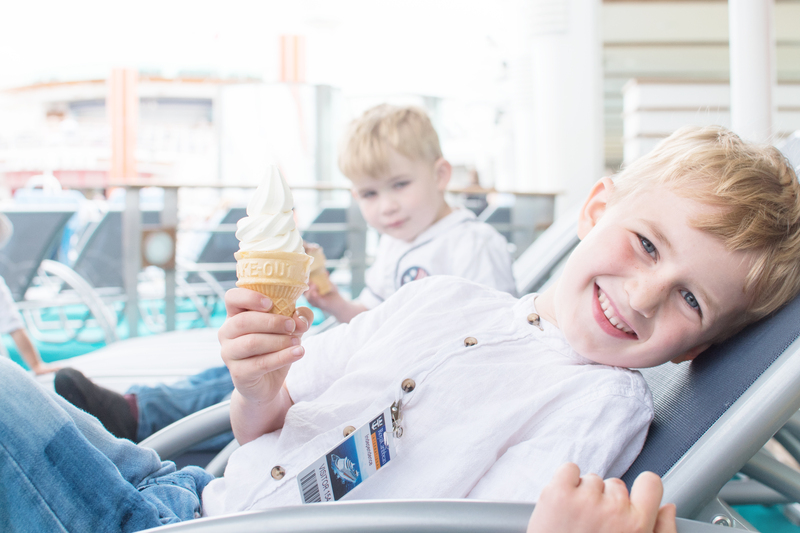 After our tummies were full with swirly ice cream, we took a wander down the ship to see the Flow Rider and the spa area. There were guests with cocktails everywhere and it made me nostalgic for our honeymoon where each day we enjoyed a Disney cocktail of the day. Soon it was time for lunch and we headed to my husband’s idea of dining heaven, Johnny Rocket’s. 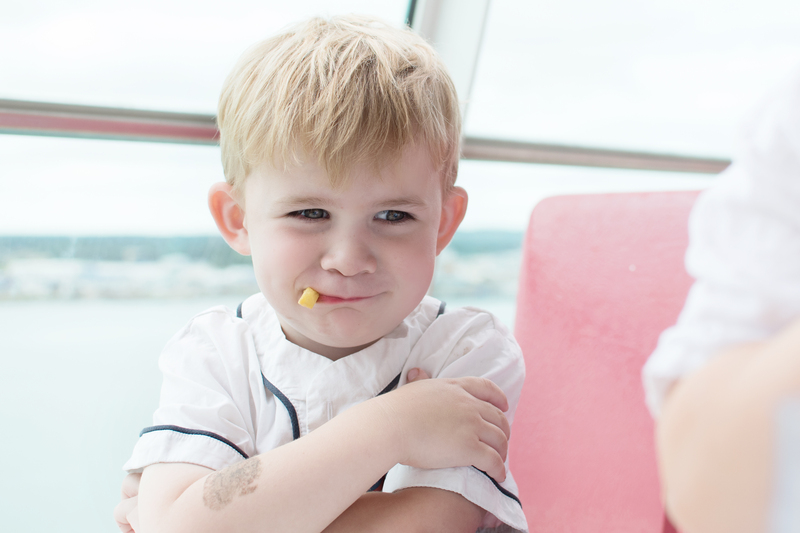 We were originally seated inside a 1950s diner, but we switched to outside the restaurant because the view from a ship is just the most breathtaking, no matter where you are. The air, the breeze – it’s paradise even in dock. 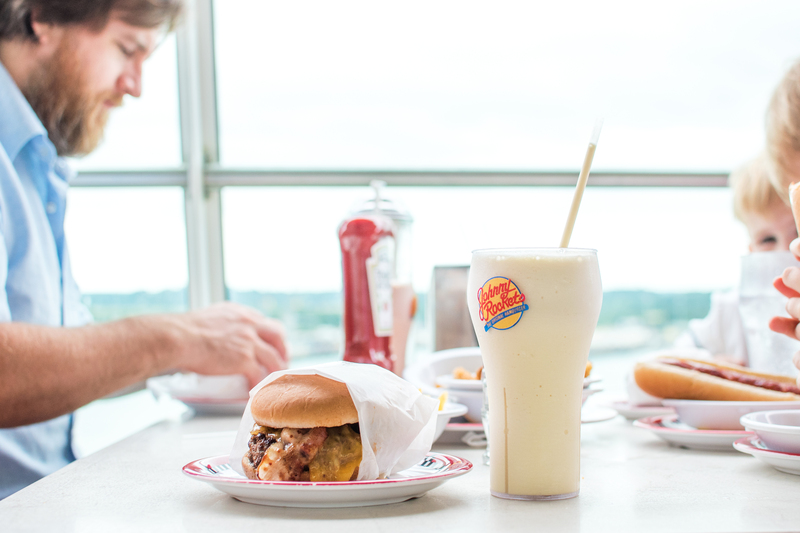 So, truly, my husband would take a cruise just for the burgers each day I’m sure – and the milkshakes are delicious. But then the dancing began. Oh, the dancing. Cast members from the restaurant came out to dance to the Bee Gees and my boys just couldn’t resist. 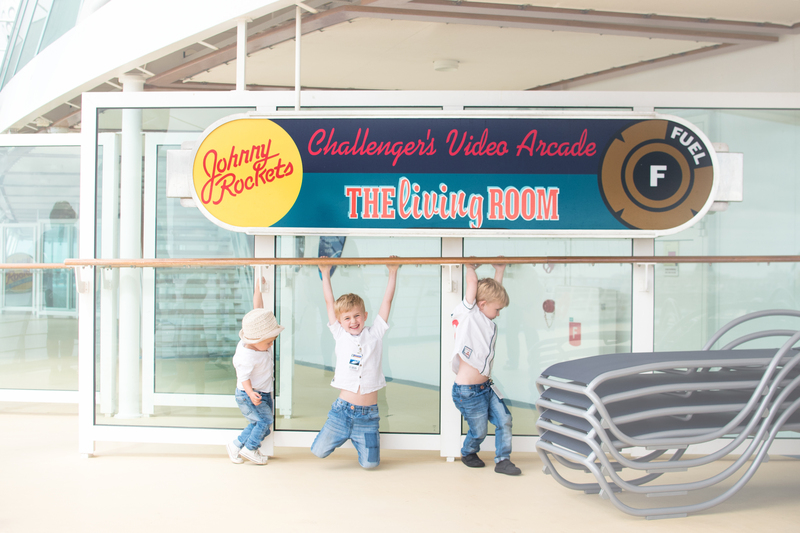 They were up and joining in – and making memories. Just how a holiday should be. 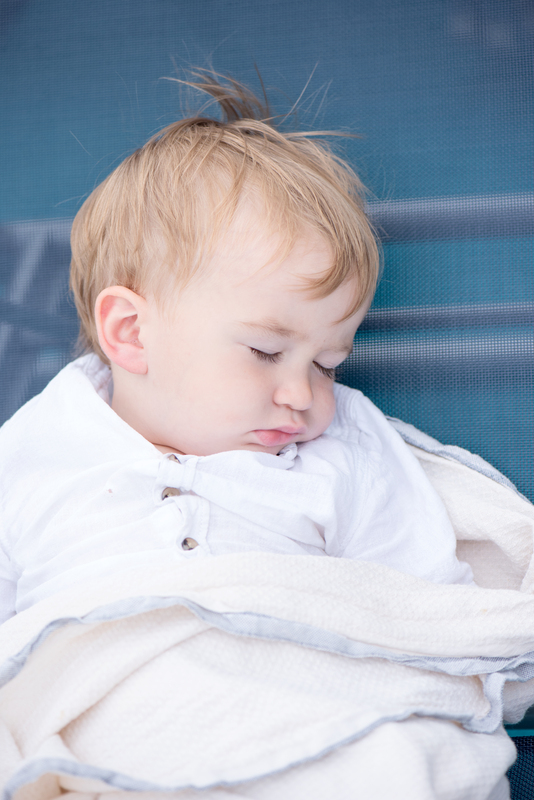 Hero was so full and out of puff that he fell asleep after dinner, as our bigger boys made their way to the pool at last! Let’s just say that it wasn’t the warmest day on deck – but after the initial shock of the cool water, they were away. 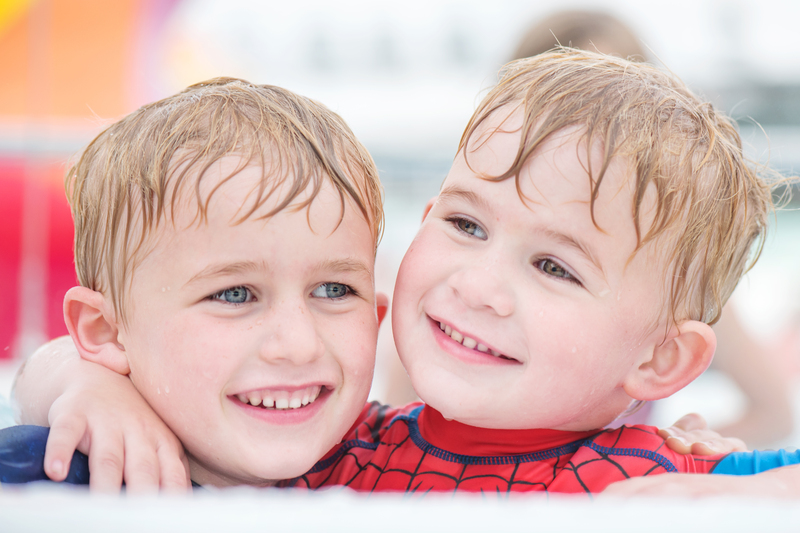 That is, until they discovered the hot tubs – then they were alternating between the two and shrieking with laughter. 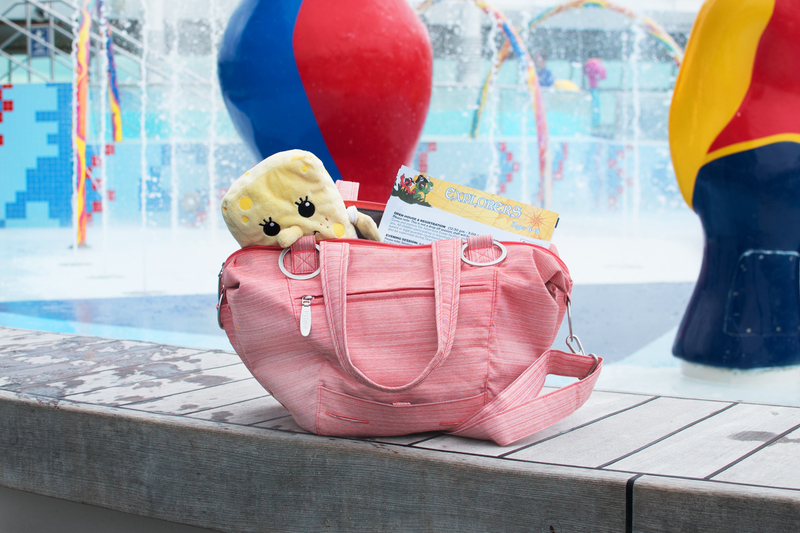 I sat poolside with Hero nestled in a wrap on his lounger – and thanked my stars I’d bought my mom-bag with me. If you’re after a bag that can do it all, this is it – my Amilie bag from Minene. You have no idea how much I had in this bag. Seriously. I was like Mary Poppins. Even Spongebob found a place easily. 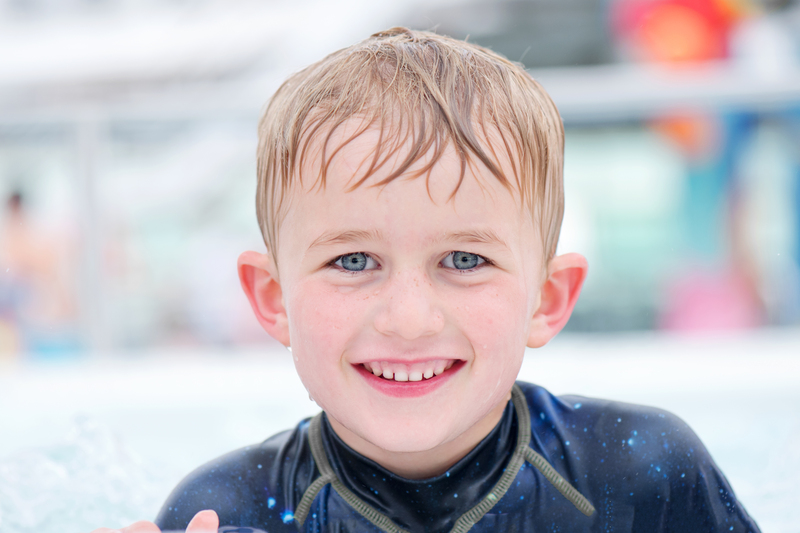 Our precious little time in the pool passed so quickly – and as it was turnaround day for the ship, we had to leave. 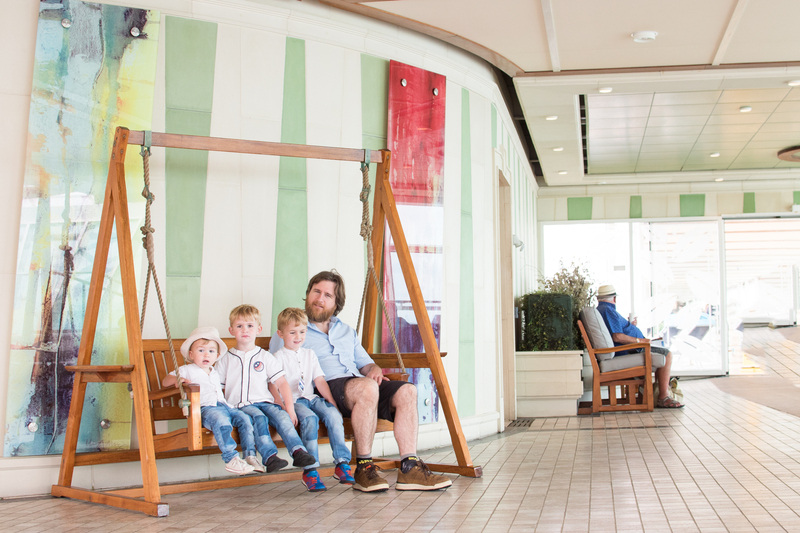 Someone was still asleep when it was time to go – and so we woke him up for a little family photo before we left [with more ice creams in hand]. That last picture down there? Jensen took it a little better when we said we had to get off the ship. Lyoto? He’s already asking when we are going on holiday on the big boat. Oh boy. I’m so glad Sonia – my mum has always been worried but now they are booking for October! Thank you so much for the lovely compliment! I love Royal! I was just on Grandeur of the Seas in Baltimore in May. It’s a little older and you can tell. But, we still had a fabulous time! I believe they are drydocking it next year for renovations. Great post! That must have been amazing Jacqui! 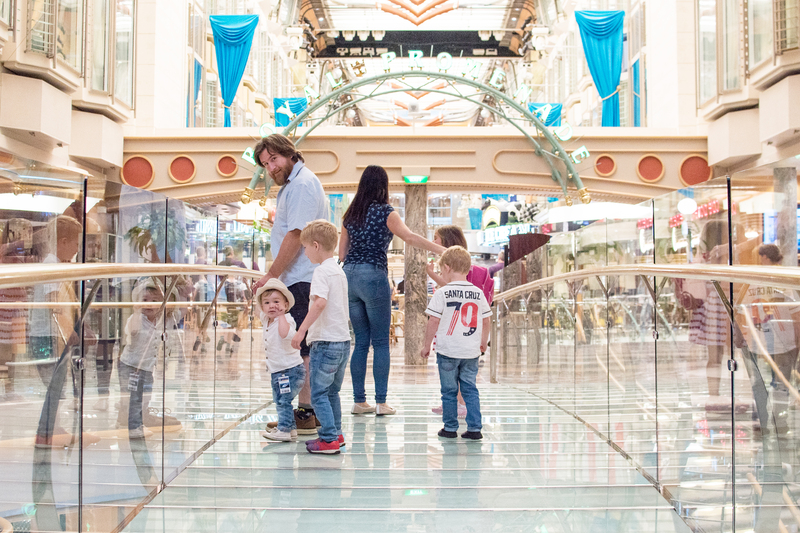 We see all of these beautiful ships in Southampton docks as we go shopping – but we’d never been on one before, it was the best day! This sounds like an amazing cruise indeed for the whole family. I have never been on a cruise ship before but would love to take this cruise. The photos are so adorable and the kids look like they are having so much fun. 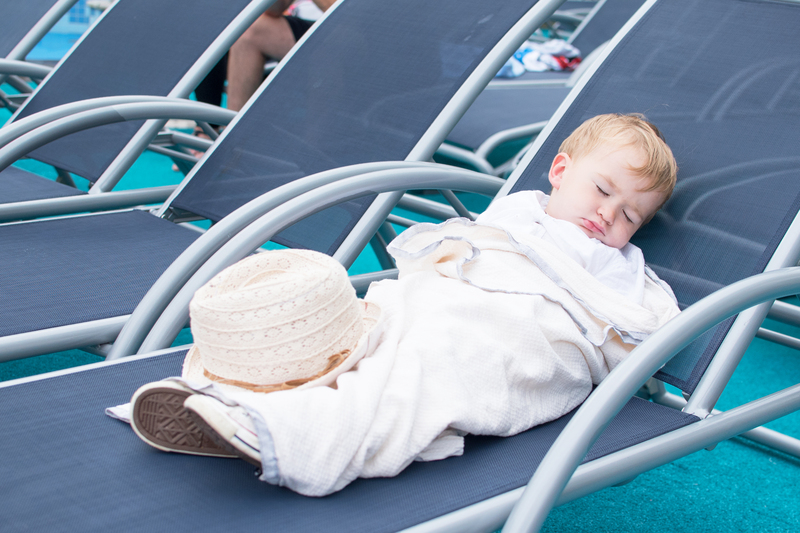 Thanks for sharing your amazing cruise experience. Royal Caribbean is a great cruise line. I’d love to take a cruise on the Independence of the Seas. It looks like your family had a great time! Looks like a fantastic cruise ship. If one day on it was that great then I can only imagine what a week or so would be like. I have to say the title of your blog is so awesome! 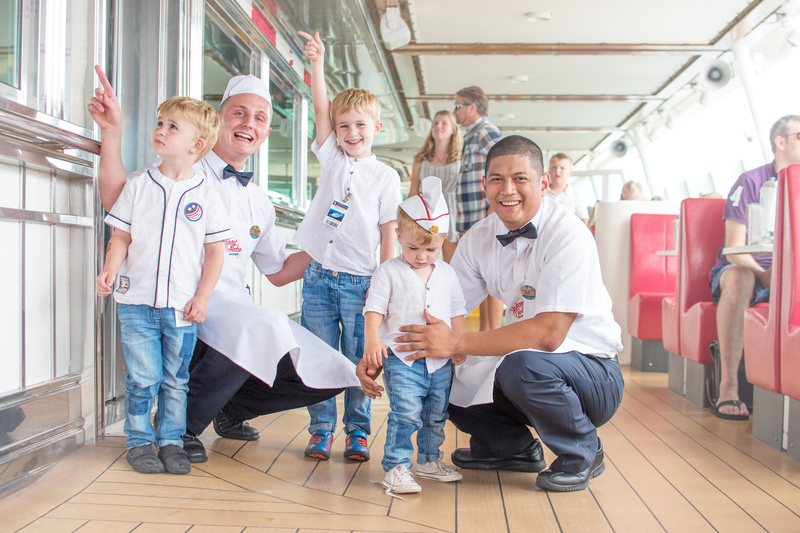 To the cruise journey, its good that you and your family had a good time. I have never been on one, and I am determined to do one with my family some day. I’m always amazed at the size of these cruise ships and all the things they have on them. It looks like you had such a great time! Sounds pretty awesome! I would love to go on a cruise at some point! I think it would be a lot of fun and a good experience i think my kids would freak out too! It looks like you guys had so much fun on your vacation. I’ve never been on a cruise, but we are considering going on one later this year! 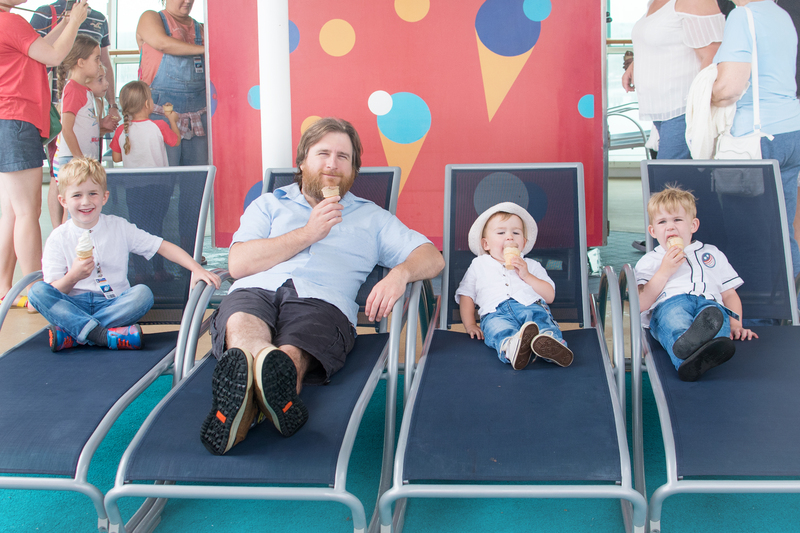 That looks like a super fun time, I haven’t been on a cruise before but looks like your family had a lovely time! Your images are beautiful! 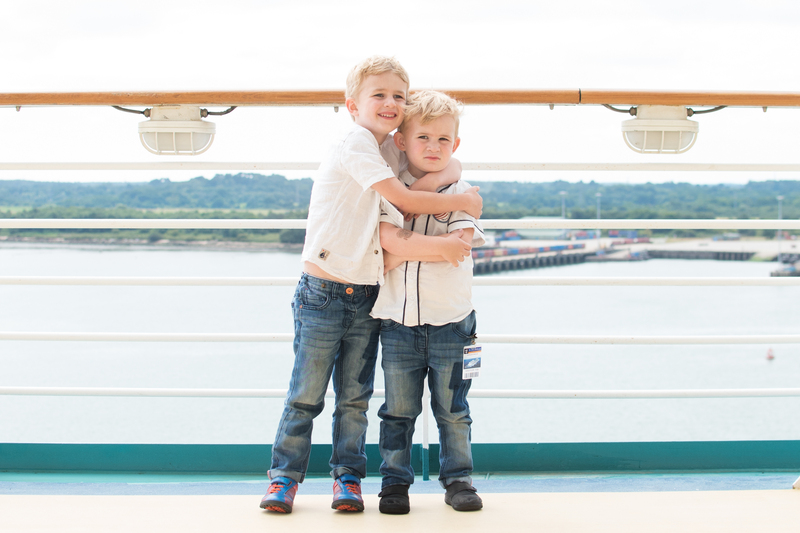 Glad you had such a great time – we haven’t been on a cruise in a very log time.. I bet my kids wold love one. Sounds like you had a great time with your family. I love the way this ship looks and you had me at self serve ice cream. How wonderful! i’d never really been too thrilled about the idea of a cruise, but your pics look like so much fun! and you kind of sold me with the Ben & Jerry’s ice cream parlour hhaha. That looks incredible! 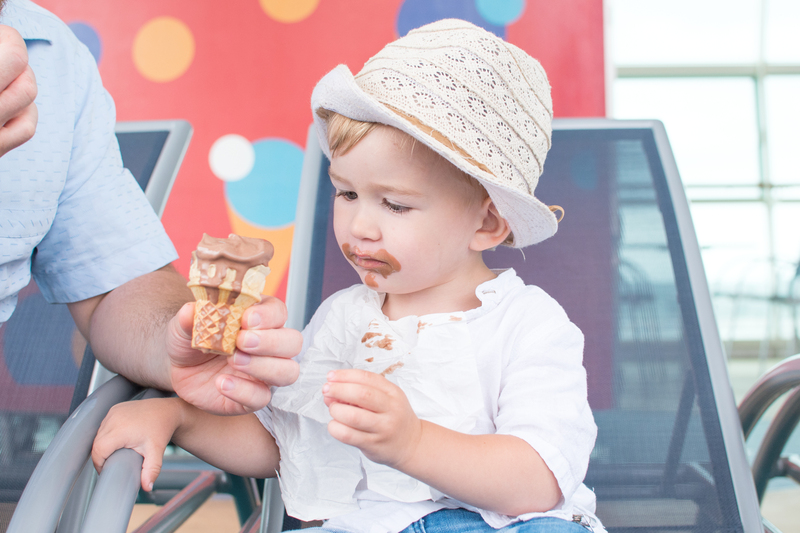 And I think our families have a similar love of all things ice cream! Looks like you had a wonderful time! I love those pictures, so beautiful! What a wonderful experienced. I like to bring my son there and enjoy the moment. I love Royal Caribbean! Looks like you all had a wonderful time! Love all of the photos! This really looks fantastic. 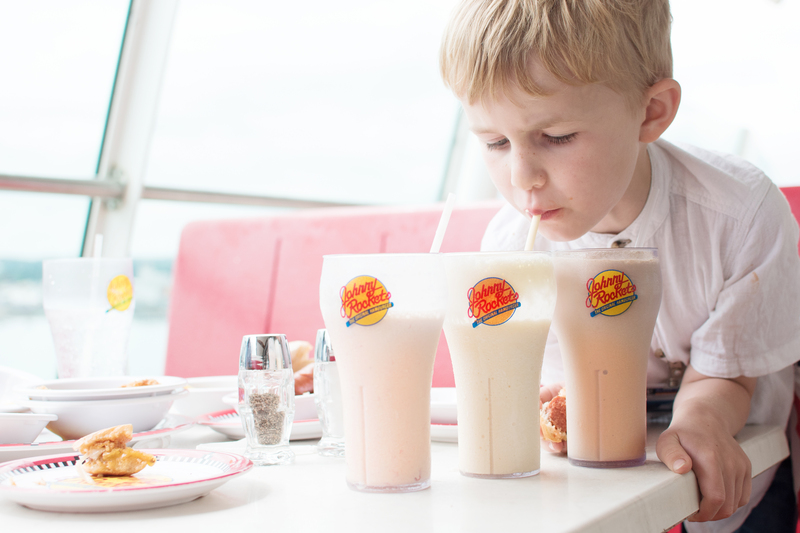 I know my kids would love it – and not just for the ice cream and milkshakes (though they look AMAZING!!). 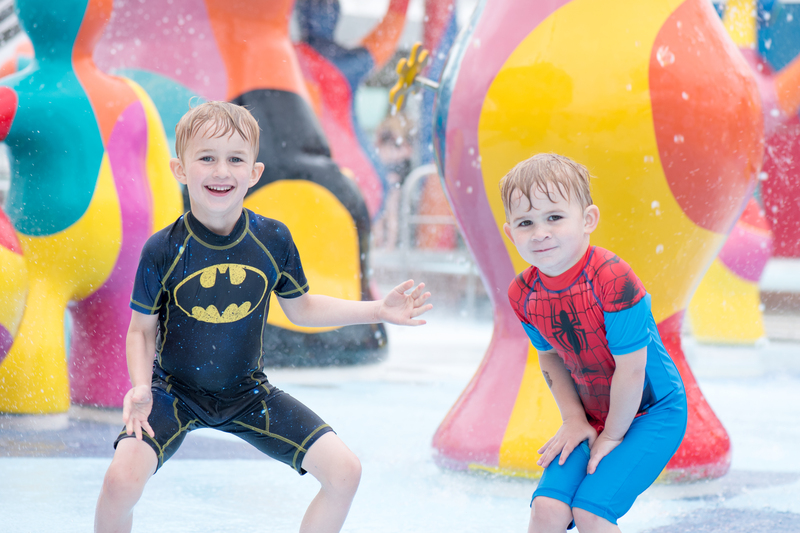 So much to do there – great for a family trip. And your pictures are so cute and gorgeous. Your trip looks amazing!! It’s time for a cruise for my family soon!! What an amazing experience this must have been for your whole family. The photos make me wish I was there too! It seems like you had an amazing experience, Sara! I love ships! Thank you, we loved it! I’ve only been on two ships [the other was the Disney Cruise] but I love being on the sea!